When you hear people and businesses talk about the “cloud”, “cloud computing” or “cloud services” do you ever wonder what it really is? In a nutshell, the cloud simply represents access to information technology and services provided by a third-party, without having to have the in-house IT infrastructure to support that information technology or service. It is interesting to note that cloud computing or cloud services are nothing new. The term “cloud” started surfacing a number of years ago and has been gaining a lot of traction and momentum recently, but in reality the “cloud” has been with us for a very long time. For example, a term that pre-dated the cloud was SaaS, or Software as a Service. Guess that wasn’t cool enough for many of the marketing gurus out there so they had to come up with a new term. However, while SaaS is part of the cloud, the cloud often represents more than just application software services. Our first examples will focus on applications (software). Most commonly, application-based cloud services are accessed via your web browser. A simple example of a cloud service that has been around for many years can be found in e-mail. Every business uses e-mail, but not every business has the in-house IT infrastructure to support it. Many businesses simply access their e-mail via a web browser using their Internet Service Provider’s (ISP) e-mail servers. The purpose of this post is to discuss cloud computing in general, however, if you are interested in the pros and cons of specifically whether e-mail should be a cloud service or not, feel free to check out this article: E-mail: Should it be in-house or a cloud service? Another example of a cloud service is customer relationship management (CRM) software. Two popular companies in this space are Salesforce.com (www.salesforce.com) and SugarCRM (www.sugarcrm.com). Salesforce.com is a well-known company that provides CRM functionality as a “cloud” service whereas SugarCRM provides a full CRM suite that can be purchased as either a cloud service or as an on-premise (local) solution. Inside Fact: Our company uses SugarCRM as a localized, in-house (non-cloud) solution. Cost Saving Fact: SugarCRM has a free open source version at www.sugarcrm.org. The paid version has more features, but for many businesses the free open source version meets the need. Online collaboration applications that facilitate web conferencing, online meetings and desktop sharing such as Cisco WebEx, GoToMeeting, etc. are also examples of cloud applications. As a final example, a newer trend of cloud service is that of office productivity applications such as Google Docs and Zoho that are working to compete with Microsoft Office. To summarize, cloud applications are simply applications or software that are hosted at another location and typically accessed from your business via your web browser. 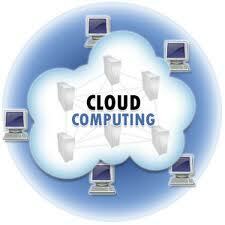 As indicated earlier, cloud computing is not only about software and applications. 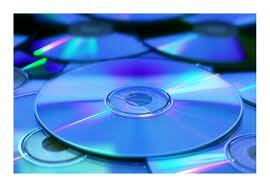 One cloud trend is that of storing data “in the cloud”. For example, there are many companies (including our sister company CanNet Internet Services, Inc.) that provide services whereby a business can remotely store their data at a secure facility. Typically this type of storage is used for the purposes of disaster recovery or sometimes as simply a secondary storage location. 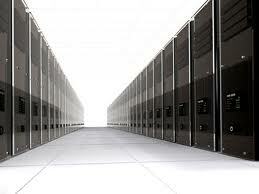 Another trend that is gaining a lot of traction is that of “cloud servers”. Hosting (or co-locating) your business servers “in the cloud” can be a cost effective way of striking a balance between still having access to dedicated servers and software, but without the hassles of maintaining the hardware, performing upgrades, dealing with backups and the necessary supporting IT infrastructure. Inside Fact: We have many customers who host (co-locate) some or all of their servers in our secure data center and simply access them remotely from their office. Being in our “cloud” alleviates many of the costly headaches associated with maintaining in-house servers. Therefore, the cloud as it relates to non-application based services can extend to data and even hardware (servers). Access to cloud data and servers is then done remotely from your office. So while there is a lot of buzz about the “cloud”, it is nothing magical or mysterious and has been with us for a very long time. The cloud simply references the ability for a business to access information technology and services provided by a third-party, without having to have the in-house IT infrastructure to support that information technology or service. Many times the cloud can be a cost-effective way for a business to gain access to information technology and services as well as reducing some of the barriers to entry, but on the other side many businesses like the benefits of having their infrastructure in-house. For each potential use of the cloud, the pros and cons must be weighed as they relate to your specific business need. Sometimes the cloud is the right answer and other times it is not and for most businesses it is often a mixed use.